Whether for promotional or ecommerce purposes, if you are going to have a website, you better make it good. Unfortunately, the presentation quality of your website is worth nothing to you if the website itself has no visibility. The number of websites on the Internet is growing all the time. Users jump from page to page, rarely visiting only one page to get the information that they require. Search engines like Google help in this search for the right web page, which is why Google aims to be the best at finding exactly what a user searches for the first time. It strives to reach this goal by building new search algorithms at a fairly rapid speed. When Google first started out, it was very basic. It looked for the words users typed in and posted results. This made finding the right search term imperative. Anything that did not look like a keyword to the search engine was ignored. Google was always good, but people using the web got better at making Google pay attention to their sites over other sites, regardless of quality, so the search engine had to evolve to keep users happy with their results. 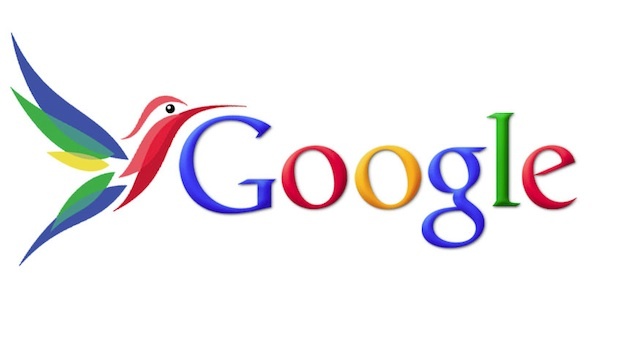 The newest edition of this ongoing algorithm improvement is Google's Hummingbird. It may be hard to notice the results of Hummingbird initially, as it is an algorithm that improves searches over time. What it is doing is remembering previous searches and putting later searches into context based on the entire query, rather than just keywords. As an added bonus, it also recognizes voice-to-text on mobile devices! In a way, Hummingbird takes a one-question, one-answer system and turns it into more of an interaction with the search engine. Using older queries, the engine will narrow down the search more and more, just as if you were discussing something with someone and giving them more information in order to get better results from them. How Does This Can Affect Your Business? This is all great news for basic Internet users, but there are considerations for businesses that have websites relying on good rankings in search results to drive sales. The content of these websites just got more important. Links will have to be working and relevant. You can use broken link checker tools to help you find them. Content will have to be keyword-related. In short, websites will have to be useful to Google users searching for those keywords or they will not rank well. We know that having a website that is not big and noisy, but rather streamlined and targeted to interested individuals is the key to having a website that delivers for your business. Delivering the right message to your key audience that speaks to their need-states is essential. That process all starts with identifying your buyer personas. If you need help with that, I have created a content strategy worksheet as a template to lead businesses in the right direction.